Christmas Seal Collection Kits We have combined a few of our popular Christmas Seal Collections with Christmas Seal Albums for great collection kits. These collection kits would be great starter collections for yourself, friends, or loved ones, who are interested in Christmas Seal collecting. Kits contain seals, and album. Just add stamp hinges, and catalogs, if desired. U. 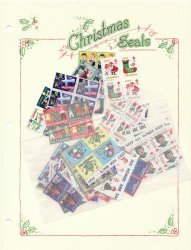 S Christmas Seal Collection Kit; U.S. National Christmas Seal Collection, 1920-68, as required, singles, pairs, and blocks, with Colorful Blank Album Pages in package of fifteen (15) sheets. Just add your own binder. 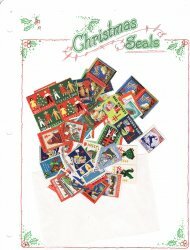 Canada Christmas Seal Collection Kit; Canada Christmas Seal Collection, 1927-56 as required, singles pairs, and blocks, with Colorful Blank Album Pages in package of fifteen (15) sheets. Just add your own binder. U.S. National Christmas Seal Block Collection, 1930-65, with Album Pages, F/VF. MNH. There are thirty-six (36) blocks of four (4), all with full gum, with Colorful Blank Christmas Seal Album Pages. Just add your own binder. 1929-68 U. 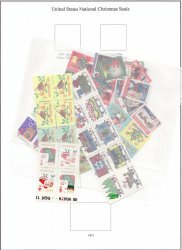 S Christmas Seal Imperforate Proof Collection Kit. 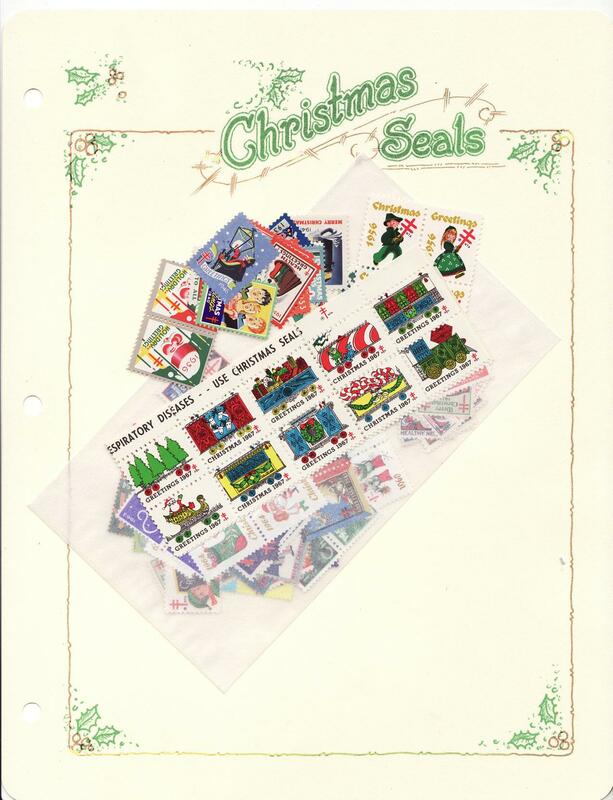 Contains 1929-68 U.S. National Christmas Seals Imperforate Proof Collection, as required, singles, pairs, and blocks, with Colorful Blank Album Pages in package of fifteen (15) sheets. Just add your own binder. 1920-2018 U.S. National Christmas Seal Collection with 2018 Saint Crispen Basic Christmas Seal Stamp Album. 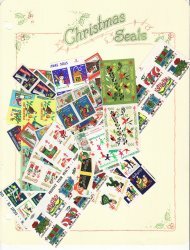 U.S. National Christmas Seals 1920-2018, as required, singles, pairs, blocks and sheets. 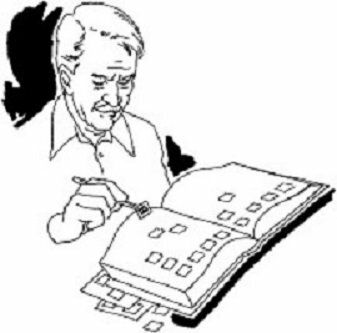 Just add your own binder.